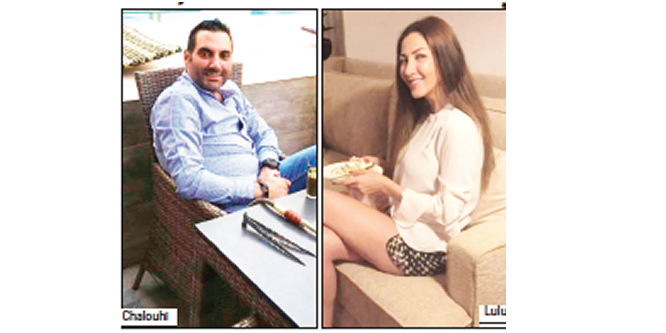 Officials of the National Drugs Law Enforcement Agency (NDLEA) in Lagos have arrested a Lebanese, Mr. Charbel Chalouhi, and his wife, Lulu Atallah, as well as their driver, for allegedly peddling drug. The man and his wife were also accused of sniffing the drug believed to be cocaine at their residence on Victoria Island area of Lagos. The suspects were said to be on the wanted list of the NDLEA before they were arrested about 8a.m. on Monday at Number 18, Wahab Ogunbambo Street, off Simeon Akinlonu Crescent, Victoria Island. It was learnt that after the NDLEA officials from the Nigerian Aviation Handling Company (NAHCO) Lagos Command, Ikeja received a complaint about the couple using and selling drug. During the search of the suspects’ apartment, 1kg of cocaine was reportedly found and they were subsequently arrested. Chalouhi and Lulu were said whisked away by the NDLEA officials. Sources said the NDLEA officials had been on the trail of the couple and their driver for some time before raiding their home. A resident of the area, Mr. Simeon Akinlonu, who witnessed the arrest, said the NDLEA officials combed several homes in the area and questioned many occupants before they eventually arrested Chalouhi, who was their target. He said: “I was coming from somewhere when I suddenly saw NDLEA officials in our area. They searched every house on our street and they went to their target’s house. After a thorough search, they found drugs where the man hid it. He was promptly arrested with his wife and driver. Another resident, who did not want his name in print, said the couple knew that the anti-drug officers were after them so they had made arrangement to travel out of the country on Tuesday but they were arrested on Monday. He said: “It has come to our knowledge that some powerful Lebanese in Nigeria are making efforts to get the couple and their driver out of the custody of the anti-drug officials. We want him to be prosecuted because he has destroyed the lives of many youths in the country. NDLEA Lagos Area Commander, Aliu Suleiman, who confirmed the couple’s arrest, said they were still investigating the case.